I am sure every one of us would accept that getting a cab and explaining the address was the toughest job in our time at South Korea. Almost none of the cab drivers could speak English or even understand the address when communicated. We got help from the locals to write the address of our accommodation in Korean for the taxi drivers. I tried using the taxi apps but I was never successful in getting a cab through the app. So, I was using the old school method (waving at an empty cab) to get a cab whenever I needed one. 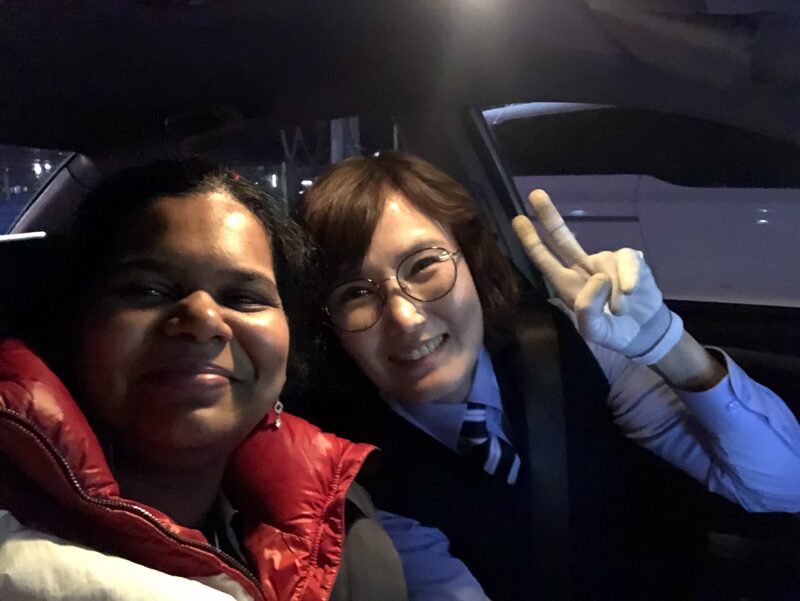 I met this wonderful lady on my way back from work who spoke English fluently and understood every word of mine. I didn’t have the need to show the Korean translation of our accommodation. I made casual conversation with her during my ride and there are only few cab drivers who are female. What a shame!